Doing someone else’s makeup can be so much fun! It can also be a great learning experience, too. Last weekend, I gave my best friend, Tiara, a Back to School themed makeover at VBT Beaute Emporium. 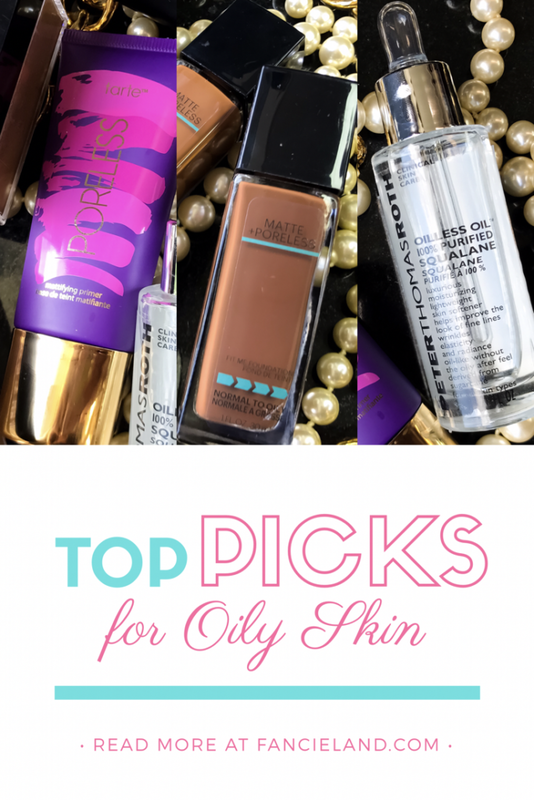 Unlike myself, my best friend has rather oily skin that she often struggles to keep matte. Naturally, I had to take a different approach and use different products than I normally would on myself. As a makeup artist, it’s extremely important to able to identify your client’s skin type. This ensures that you best suit her needs and that her makeup looks flawless for hours on end. Typically, when I do my own makeup, I start off with lots of moisture and radiance. After applying moisturizer, I normally layer on a brightening or moisturizing primer to boost moisture and radiance. This helps to smooth any dry patches for a smooth, even canvas. Tiara has oily combination skin so I wanted to lightly hydrate yet mattify her skin to control oil. Oily skin can produce enough oil that gives skin its own natural glow–that isn’t always desirable. Excess oils can also break down makeup causing your look to melt and fade. On the contrast, having combination skin also adds some dry spots in the mix. So you have to be careful not to go overboard with controlling oil. To balance Tiara’s skin, I applied a couple drops of Peter Thomas Roth Oilless Oil 100% Purified Squalane to Tiara’s bare skin. Squalane is a lightly hydrating plant oil that absorbs quickly and doesn’t clog pores. The Oilless Oil helped moisturize Tiara’s dry-combination spots while also helping to reduce her excess oil. After prepping Tiara’s skin, I applied the Tarte Poreless Mattifying Primer to keep Tiara matte for the rest of the day and prolong her makeup. Upon application, the Tarte Poreless Mattifying Primer was instantly without sucking all of the moisture from Tiara’s skin. Perfect for a smooth base! Tiara has a beautiful deep complexion with some slight hyper-pigmentation and acne scarring. Both are typical for women of color and easy to correct. Tiara doesn’t have any major imperfections so a little foundation went a long way. I applied a light layer of Maybelline Fit Me Matte + Poreless Foundation in the shades 368 Deep Golden and 375 Java for medium coverage. 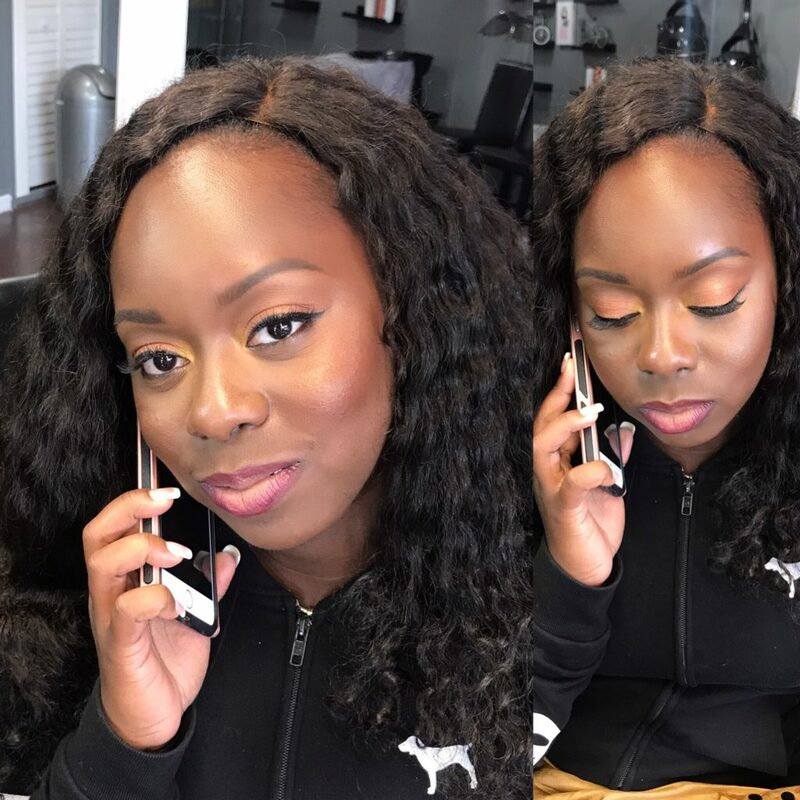 To highlight and contour, I used Black Opal True Color Foundation Sticks in Truly Topaz (highlight) and Black Walnut (contour). Both formulas worked well with Tiara’s combo-oily skin. She remained matte upon application but she didn’t look dry or cakey either. I wanted Tiara’s makeup to last well throughout the night without touchups so I also set her foundation and concealer with powder. The new Maybelline Fit Me Loose Finishing Powders are great for oily skin. The formula is incredibly lightweight and with a very fine, silky texture that absorbs oil quite nicely. I used the shade 35 Deep to set Tiara’s highlight and 40 Dark to set her foundation. The formula kept Tiara matte without sucking all of the natural radiance from her skin. Most of these products are super affordable! The foundations and the setting powder are all under $10 and work extremely work with a nice color range. The primer and facial oil are more on the expensive side, though, weighing in at $30+ a pop. However, I do think it’s worth it to invest in a good primer and good skincare to ensure the best quality. Especially if you have sensitive skin! ← Back to School Beats at VBT Beaute Emporium!